Longleat is welcoming a host of brand new exotic animal arrivals over the summer holidays. Among the newcomers is a colony of colobus monkeys and a group of spotted, or laughing, hyenas – the first time either species has been on display at the Wiltshire wildlife attraction. The newest arrivals join a pair of endangered Amur tigers and two new western lowland gorillas which are already settling in. The troop of black and white colobus monkeys, native to Central Africa, will be located on a manmade island in the middle of a lake which was the former home of Nico the gorilla. Visitors can view them on Jungle Cruise boat trips which also include the chance to feed sea lions, spot Longleat’s resident pair of hippos and cruise past Gorilla Colony – a spectacular lakeside retreat filled with trees, logs and even a waterfall to mimic their natural African forest habitat. 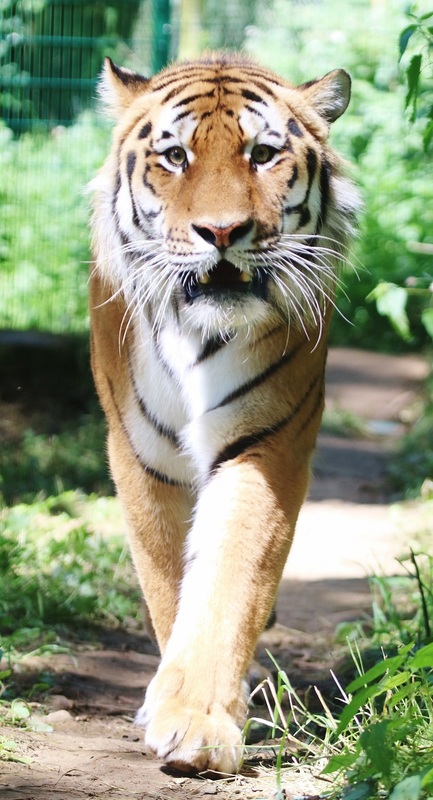 Two new Amur tigers, a male from Norway and a female from Sweden, have arrived at Longleat as part of a European breeding programme for the endangered sub-species. It is hoped the pair, who are both three years old and captive bred, will eventually have cubs of their own. A cackle of spotted hyenas will also be part of the Safari Park experience for the very first time. A group of males have moved into a new drive-past enclosure alongside Longleat’s resident cheetahs and wolves and are due to be on display in August. These magnificent sub-Saharan hunters are known as ‘laughing’ hyenas due to the bizarre giggling sounds they make when excited. 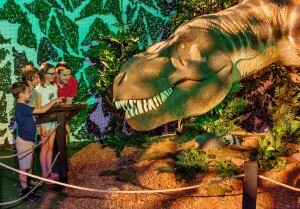 Plus visitors can experience extremely close encounters with fearsome life-size dinosaurs as part of the spectacular ‘T. rex The Killer Question’ interactive exhibition. 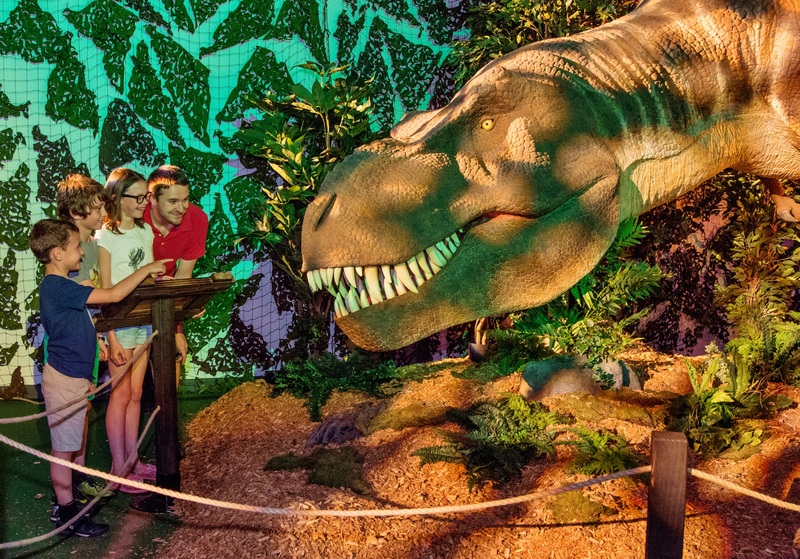 Running until September 3rd, it transports visitors back through time to come face to face with the fiercest dinosaurs ever to have roamed the planet. Devised and created by the Natural History Museum, this immersive 3D blockbuster exhibition features terrifying animatronics, casts, static models and graphic displays. There’s also the opportunity to track down dozens of brightly-painted pandas as part of a fun pop-up art trail. Group rates for 2018 are Adult £24.50; Child (3-15) £18.35; Senior £22.00. Group rates are available for groups of 12 or more who’ve pre-booked. 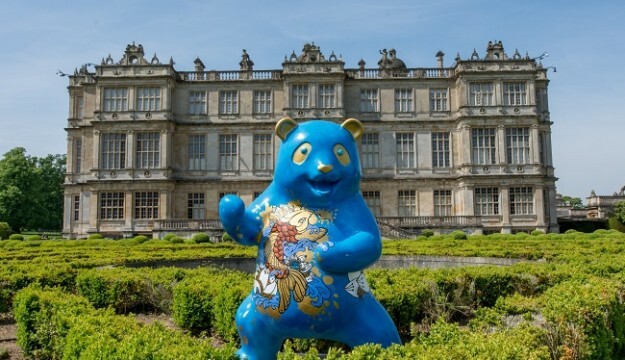 Longleat also offers a complimentary organiser ticket for a group of 30 or more, and a free coach driver ticket plus meal voucher for every coach operator booking.